During your pet’s professional dental cleaning, we may discover that your pet has special dental needs beyond the usual scaling and polishing, such as tooth extraction. We offer many types of oral surgery, from tooth extractions to specialized treatments for trauma, tumors, oral inflammation and pain. Any pet coming into the Fern Creek hospital for oral surgery needs a thorough physical examination, in your presence. Any problems found during the exam which could cause problems during the operation are thoroughly discussed with you at that time. We also require a pre-surgical blood screening prior to any oral surgery to rule out any underlying problems which could cause complications during surgery. At Jefferson Animal Hospital, Fern Creek, we take pain management seriously. In all oral surgery procedures, your pet will be given Advanced Pain Management using pre-emptive pain management, regional blocks and multi modal therapies to minimize any pain your pet may experience. 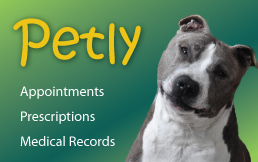 If needed, your pet will be given pain medication at discharge. All oral surgery procedures are performed with your pet placed under full general anesthesia. 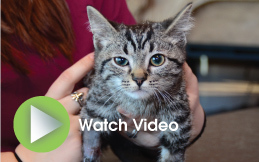 Your pet sleeps painlessly through the entire operation. At Jefferson Animal Hospitals, the specific type of anesthetic used is tailored to the specific health picture and physical condition of your pet in order to make the surgery as safe as possible. Among the anesthetics available at our hospital is Isoflurane, one of the most modern gas anesthetics available today. For each patient, we use a pack of surgical dental instruments which has been freshly sterilized by pressure (autoclave) sterilization. This is vitally important to preventing serious infections. The surgery is performed in our dental suite or sterile operating room. Oral surgery is performed by one of our licensed, trained veterinarians - sterile, scrubbed and gloved for each individual patient. During oral surgery, advanced monitors including EKG, pulse oximetry, respiratory monitors and blood pressure monitors are used during all oral surgery procedures to ensure the safest possible outcome. After oral surgery, your pet will be carefully monitored by our veterinarians, trained staff members and medical technicians until he or she is fully awake and stable. No pet is dismissed from the hospital until we are satisfied that he or she is fully recovered from the anesthetic and stable from the oral surgery.